In a New Light Pioneers: Michael, 17 - "New Life"
I took this picture at Interstate Park, near St. Croix Falls, which is near my hometown. 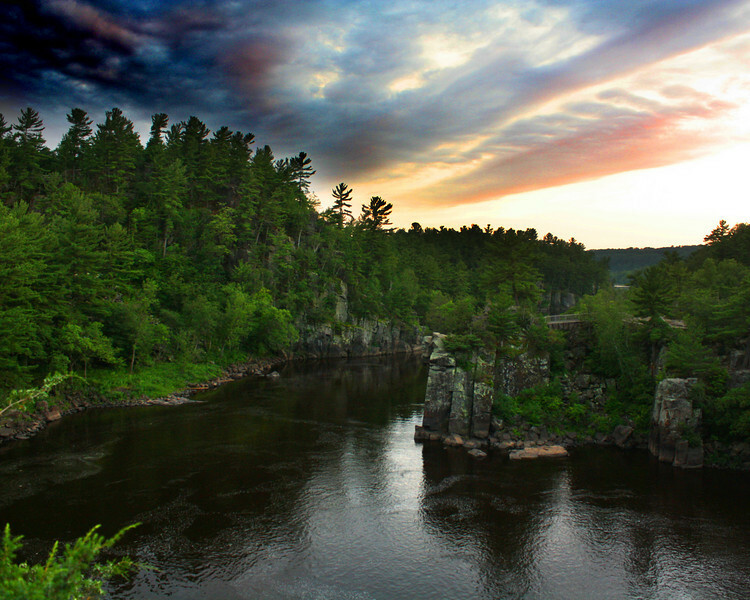 For me, the St. Croix River is a place I go to fish and relax and get away from it all. I just loved being on top of this cliff looking down on the river with the beautful trees and sky. It makes me feel at one with all the beauty of nature. About Michael: "My name is Michael. I am 17 years old, and I'm from Centuria, WI. When I get older my dream job is to be an electrical lineman and to build a farm and have a ranch. This photography unit has taught me that I have great talents. It also means I can do more with my life then just sit around. When I leave this photography unit I will wish I could keep taking photos with one-of-a-kind teachers like Benjamin Thwaits."